Nothing quite makes your blood run cold or your heart break into a thousand tiny pieces like the news of a missing child. It’s an issue that is so innately human, so raw and fuelled by emotion, that you can’t help but feel for everyone involved – the families, friends, community – and, above all else, the innocent juvenile. This is why Half Moon Lake by Kirsten Alexander is such a gripping, all-consuming read. A work of fiction, but inspired by real events and people, the novel unfolds on a summer’s day in 1913, where, at Half Moon Lake, Louisiana, four-year-old Sonny Davenport wanders into the woods and never returns. It isn’t long before the boy’s mysterious disappearance makes front page news in his home town of Opelousas. Sonny’s parents, John Henry and Mary Davenport, are extremely wealthy individuals who spare no expense in finding their son – but to no avail. For two achingly long years the Davenports venture across the South, offering large rewards for traces, and clues that never surface. Then, when all hope seems lost, the boy is found in the company of a drifter – but is he truly Sonny Davenport? The circumstances of his discovery are suspicious, and raise more questions than answers. Matters are complicated further when Grace Mill, an unwed farm worker, travels from Alabama to make a claim that will change everyone’s lives – that the child, is, in fact, hers. So begins an emotional and painful trial between two mothers – one wealthy and wed, one single and poor – for ownership of this young boy. It’s a battle that will divide the entire town, and taint the lives and reputations of both families for generations to come. 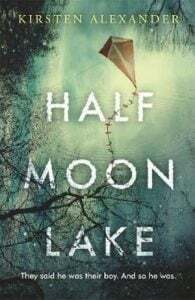 Half Moon Lake is a captivating novel about the bond between mother and child, the events and people that shape our identity, and what it means to belong to a family. Set in the early 20th Century, the young boy’s disappearance takes place in a world far different to the one we are familiar with, and Kirsten depicts the essence and attitudes of this era with skillful detail. Transporting us to another time, she takes readers to a world rife with injustice and prejudice, where the truth can be bought with gold, and social appearances mean everything. 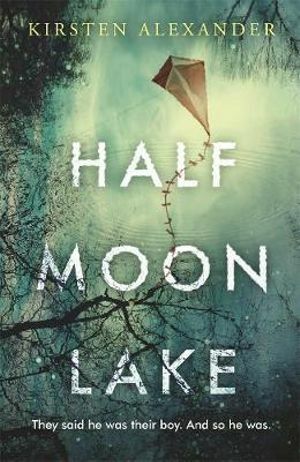 For readers who enjoy both historical and thriller fiction, Half Moon Lake should be on your reading list for 2019. It’s a book like no other, providing raw insight into the bond between mother and son, and the great lengths that people will go to to protect the ones they love. 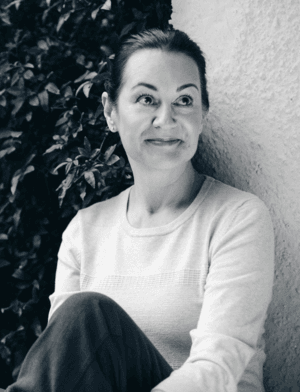 Kirsten Alexander is the author of two novels, Half Moon Lake (Penguin Random House, 2019) and Everything You Want (PRH, 2020). She is writing her third novel. Have to put this on my to buy and read list , the story sounds good.